Oregon has one of the highest rates of drug and alcohol abuse and addiction in the United States. Fortunately, the state also has many inpatient and outpatient drug and alcohol treatment facilities that can help an individual recover from a substance use disorder. Oregon, The Beaver State, produces 99% of the nation’s hazelnuts and its Douglas firs stretch out as far as the eye can see. A state known for its compassion and social awareness, its state motto, “she flies with her own wings,” exemplifies the pioneer spirit of independence and rising above circumstance. Oregon also leads the US in the production, consumption, and exportation of craft beer. The greater Portland area alone has 170 breweries. While recovery from alcohol can be difficult anywhere, a culture and economy that largely revolves around alcohol can make it particularly difficult for alcohol-addicted individuals to seek help and remain on the recovery path. Those who go untreated continue on their paths of self-destruction, and in their wakes lie the damage done to families, friends, and communities. Addicted individuals need treatment to reclaim their lives from the devastating effects of their addictions. Fortunately, there are options within the state to help individuals and families recover from substance use disorders. The following list of inpatient rehab centers in Oregon is based on the treatment programs offered, amenities, success rates and online reviews. Sunspire Health-Astoria Pointe, a men’s treatment facility located by the sea in Astoria, Oregon, holds the philosophy that each person is unique and deserving of dignity and respect during his treatment process. They offer an individualized abstinence-based treatment course for each resident. This facility provides a residential treatment program tailored specifically for men that also addresses issues of anxiety, bipolar, trauma, and personality disorders. Sunspire Health-Astoria Pointe utilizes a wide array of modalities to meet the individual’s needs, including cognitive behavioral approaches in individual and group therapy, family therapy with education and skill-building, relapse prevention planning, and addiction education, to name just a few. Another Oregon facility, Awakenings By the Sea in Seaside, is a women-only inpatient treatment facility. This facility provides drug and alcohol treatment to women and their families, and the staff believes that recovery requires self-honesty, a desire to improve one’s life, and a solid support system. Awakenings By the Sea uses an abstinence-only approach, offering 12-step programs, education, and skill-building for its residents. The programs at Awakenings By the Sea can last for 30, 60, or 90 days and center around life skills, relapse prevention, stress management, nutrition and fitness, relationships, codependency, specific women’s issues, spirituality, trauma/PTSD, creative expression therapies, mindful eating, examining thought patterns that keep residents trapped in harmful cycles, and grief. BestCare Treatment Services is a CARF-certified, men-only program that bases their treatment approach around a holistic perspective and offers therapy that centers on healing the physical, spiritual, mental, emotional, and social aspects of addiction. Interviewing is the focus of their counseling sessions, and patients partake in individual, group, and family therapy. BestCare provides 12-step support groups as well as many alternative treatment options, like yoga and acupuncture, as part of an individualized care plan. Additionally, BestCare is one of the only inpatient treatment facilities that offers Latino, Spanish-speaking programs. Northwest Treatment is a drug and alcohol treatment facility located in Oregon City that provides a variety of services for those struggling with a substance use disorder. For more than 30 years, this facility has provided resources and programs for their community and offers some of the lowest treatment costs in the area. They offer a number of outpatient services for drug and alcohol addiction, including education and early intervention classes, intensive outpatient services, DUII diversion treatment, DUII conviction treatment, and relapse prevention and aftercare. The Crossroads, located in Roseburg, Oregon, is an adult residential program that offers individualized inpatient services to men, women, and women with children. Their services include detox programs, treatment for co-occurring disorders, and chronic pain management. Additionally, The Crossroads offers trauma-informed care that facilitates healing for those who are overcoming painful life circumstances that could interfere with drug and alcohol addiction recovery. The facility provides 24/7 medical support and care as well as transportation for residents that need to attend medical or dental appointments as well as visits with their children. Serenity Lane is a not-for-profit drug and alcohol treatment center located in Eugene, Oregon. They offer inpatient and outpatient services to adults ages 18 and older as well as clinical assessment programs, special family programs, longer-term treatment, and recovery support. Additionally, Serenity Lane provides treatment for co-occurring disorders as well as a medically assisted detox program. In addition to their facility in Eugene, they also have treatment centers located in Coburg, SE Portland, SW Portland, Salem, Albany, Bend, Roseburg, and Vancouver, Washington. Hazelden’s Springbrook facility, located in Newberg, Oregon, boasts a park-like campus and a relaxing and comfortable environment to seek inpatient drug and alcohol treatment. They offer gender-specific programs led by expert clinicians, and each patient receives the personal and individualized care he or she deserves. This treatment facility utilizes the latest evidence-based methods as well as a 12-step program to help patients recover from a substance use disorder. They also provide treatment for co-occurring disorders for those with mental health issues in addition to a drug or alcohol addiction. Detoxing from drugs and alcohol can be an uncomfortable, exhausting, and even dangerous process when going it alone. Depending on the level of physical and mental dependence, a person may need to seek medically supervised detox treatment to safely withdraw from drugs or alcohol. Additionally, certain drugs can cause a strong physical dependence and require the patient to be monitored while withdrawing. These drugs include opioids, benzodiazepines, and alcohol. Luckily, there are many detox programs offered in Oregon that provide the medical and emotional support needed to effectively and comfortably withdraw from substances. Central City Concern’s Hooper Detoxification Stabilization Center offers both inpatient and outpatient detox services that include withdrawal management and stabilization. Hooper Detox provides 24/7 medical and clinical support as well as transition planning. Inpatient drug and alcohol rehab programs provide people with a safe and supportive environment that is free of triggers and allows individuals to recover without the stressors of everyday life. Inpatient programs are often considered the most effective way to go about recovery, simply because it removes a person from the often enabling and tempting environment he or she was using drugs or alcohol in. Upon admission to an inpatient facility, patients typically undergo an extensive assessment to fully evaluate their condition and individual needs. Based on this evaluation, the therapists and other professionals can devise a unique treatment plan that is catered to the patient’s recovery needs. How long a patient spends in inpatient drug and alcohol treatment will largely depend on his or her specific condition. A person with a more severe substance use disorder will likely stay in treatment longer than a person with a more mild addiction or who has recently relapsed after a long period of recovery. Many Oregon rehab facilities offer either short-term or long-term programs, or both. Monte Nido Rainrock, located along the McKenzie River in Eugene, Oregon, offers 30-day short-term inpatient treatment for women. This facility provides individualized treatment for a small group of women (up to 15 at a time in their residential program). They specialize in providing treatment for substance use disorders, eating disorders, co-occurring disorders, and mood disorders. CODA Inc Gresham Recovery Center, located in Portland, Oregon, offers long-term residential treatment programs that range from 60 to 120 days. Their inpatient rehab programs are for both men and women as well as those struggling with co-occurring disorders or have been court-ordered to attend an inpatient treatment program. Luxury inpatient treatment centers provide a luxurious and comfortable setting to recover from a substance use disorder. Luxury facilities often boast extra amenities, such as fitness centers, gourmet meals, pools, and special events. Hazelden’s Springbrook campus offers a luxurious, park-like environment to receive quality inpatient drug and alcohol treatment. They provide gender-specific programs that are individualized to each patient’s needs. In addition to their therapeutic and rehabilitation services, they also offer wellness-related activities at their onsite gym, spiritual care programs, and animal-assisted therapy. Oftentimes, patients who are suffering from a substance use disorder are also struggling with mental health issues. There are many treatment facilities in Oregon that provide treatment for dual diagnosis, or co-occurring mental health and substance use disorders. Sunspire Health Astoria Pointe offers residential programs for men and women with co-occurring disorders in their beautiful and scenic facility on the Oregon coast. They use a wide range of evidence-based treatment methods to promote long-term recovery from both mental health and substance use disorders. Sometimes, a drug or alcohol addiction can lead a person down a path that gets them into legal trouble. When this happens, court-ordered rehab may be offered as an option in place of jail time or other consequences. A ruling like this will typically outline a set number of days a person must stay in treatment to meet the court’s requirements. CODA Inc. Gresham Recovery Center in Portland offers a variety of inpatient drug and alcohol treatment programs for those who have been court-ordered to attend a rehab facility. They have programs for both men, women, and women with children and their primary goals include self-management, building a support network, and obtaining housing and employment. The cost of inpatient treatment is often one of the biggest factors in deciding whether or not to seek treatment. It’s not uncommon for someone to put off or avoid admitting themselves to a rehab center based on the cost alone. However, it’s important to know that there are many resources available to help pay for inpatient drug and alcohol addiction treatment. Understanding the insurance you have and what it covers is an important first step. Many insurance providers will cover a detox program as well as residential treatment services depending on the plan you have. Some Oregon drug and alcohol addiction treatment centers also accept state-funded insurances like Medicare and Medicaid. Calling ahead and ensuring the facility accepts your particular insurance will prevent misunderstandings and excess costs out of pocket. For those without insurance or whose insurance does not provide adequate coverage, there are a few other options to consider. The state of Oregon allocates funds to rehab facilities to allow those who would otherwise be unable to afford treatment receive the help they need. While state-funded programs may not offer a comprehensive spectrum of treatment options, they still provide the support and drug and alcohol addiction programs needed to get help and on the road to recovery. 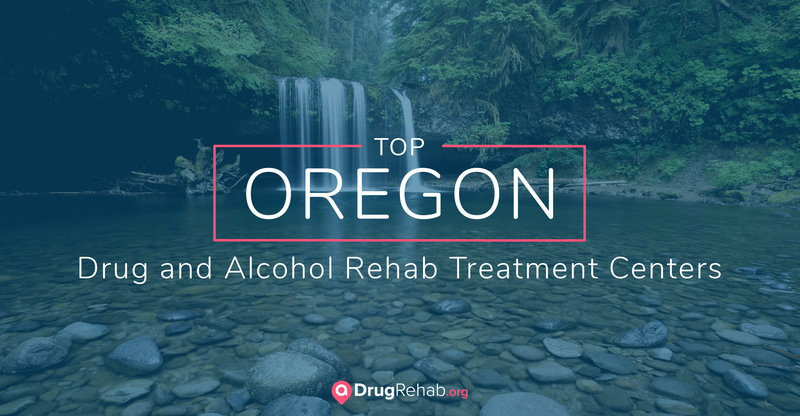 For those who are unable to attend a residential treatment program, Oregon also has a number of outpatient drug and alcohol centers to consider. While inpatient treatment is considered the most effective way to recover from a substance use disorder, outpatient programs can be just as beneficial for some individuals. Outpatient programs are ideal as a follow-up treatment plan after completing an inpatient program, or for those seeking treatment who have a supportive and stable home environment. Outpatient treatment does not provide the day-to-day structure seen in inpatient facilities and requires a person to be vigilant about his or her sobriety. For these reasons, those with less stable or enabling home environments or people who come into contact with triggers to use drugs or alcohol on a daily basis should consider an inpatient program first. Hazelden has an outpatient facility located in Beaverton, Oregon, that are centered around holistic and individualized treatment methods. Their treatment programs are offered on weekdays and weeknights. They also have the option for day treatment and intensive outpatient programs (IOP), based on the level of care an individual requires. The state of Oregon has one of the highest rates of drug and alcohol abuse in the U.S. In fact, according to The Oregon Substance Use Disorder Research Committee, approximately one in 10 residents suffer from a substance use disorder, costing the state $6 billion on an annual basis. It’s been reported that nearly 300 thousand Oregon residents are dependent on or abuse alcohol, while approximately 100 thousand are dependent on or abuse illegal drugs. With that being said, only an average of 11 percent of adults struggling with drug or alcohol abuse or addiction receive care. While these rates are certainly alarming, it’s important to know that help is available. For more information on Oregon drug and alcohol rehab centers, contact a treatment specialist today.